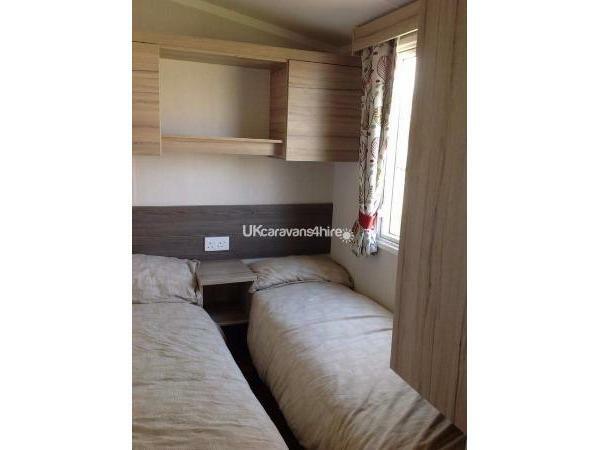 A £50 non refundable deposit to confirm booking with full payment 5 weeks before your holiday begins. Will confirm receipt of payment either by letter, email or text . Sorry no smoking or pets allowed. 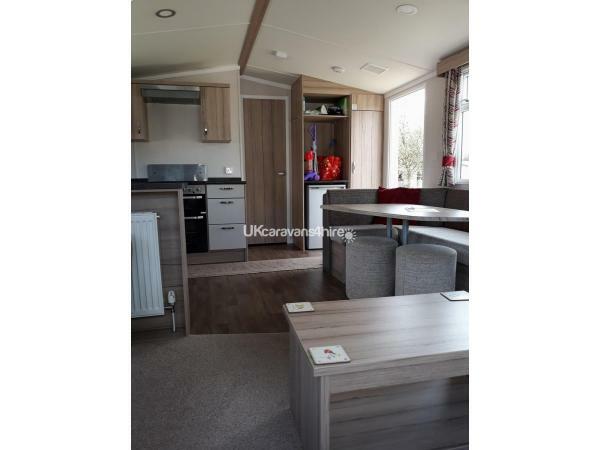 Our Delux Plus Caravan has everything you need for a fun filled week at Primrose Valley. It is double glazed, with central heating in all rooms. 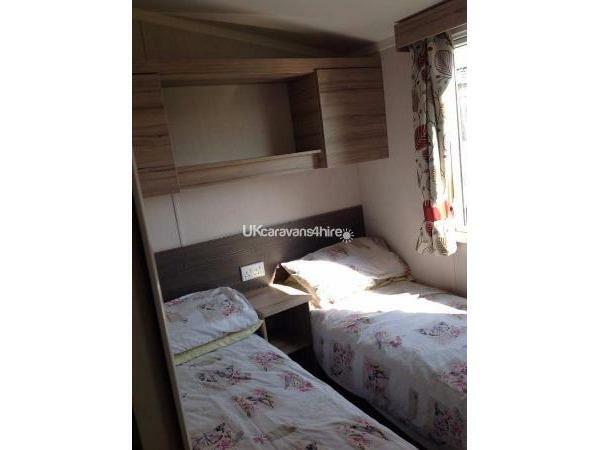 It has 1 double and 2 twin bedrooms with a wardrobes and drawers. All bedding is provided plus extra there if needed. 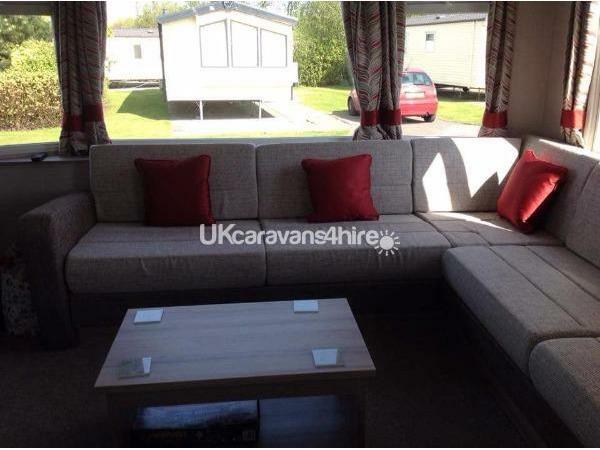 It has a spacious living room with table and chairs, TV, DVD player, DVDs, books. 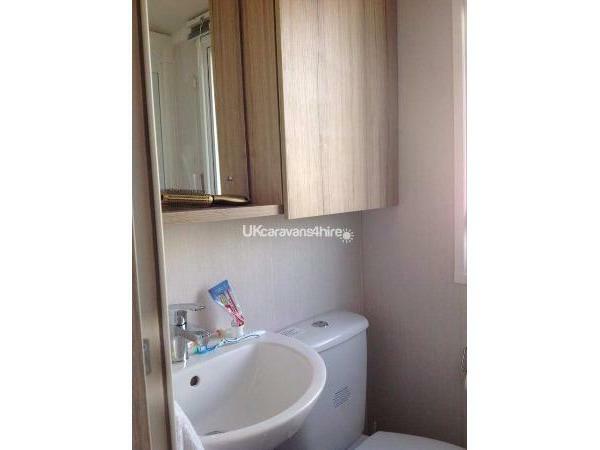 The kitchen is fully equipped with extras and cleaning fluids,cloths, and a Hoover. There is a sofa bed that sleeps 2 in the lounge. We are in a quieter location, in a Cul de Sac, which is safe from traffic. We are on the end, which has plenty of space for extra parking and activities. It's only a 5 min walk to the funfair area and 10 mins to the main complex. There is a bus service in the complex that goes to Bridlington, Filey or Scarborough, if you fancied a day out. 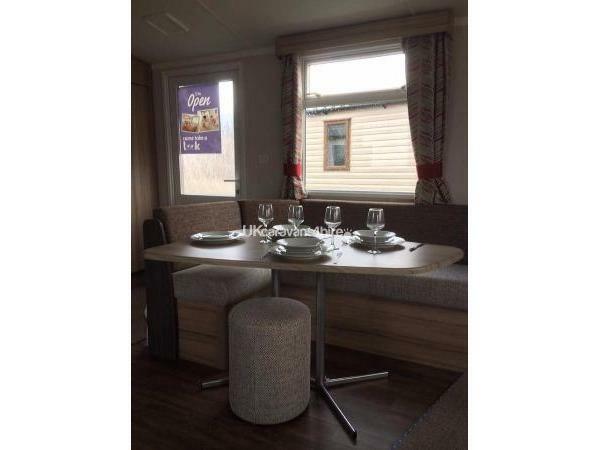 We have info on takeaways and taxis and bus services in the caravan. We have a lovely large 6ft solid wood table with Chairs and 2 benches outside for you to enjoy the sunshine. Additional Info: Passes not included, but can be easily accessed. You need a pass to get into amusements' swimming and entertainment. There is a funfair, shop, boating lake, takeaways, pub, children's parks and bikes to hire. Just had a fantastic week in Andrea & Richards caravan. It was very clean and spacious. Weather was fantastic. It was very easy to contact both over anything . 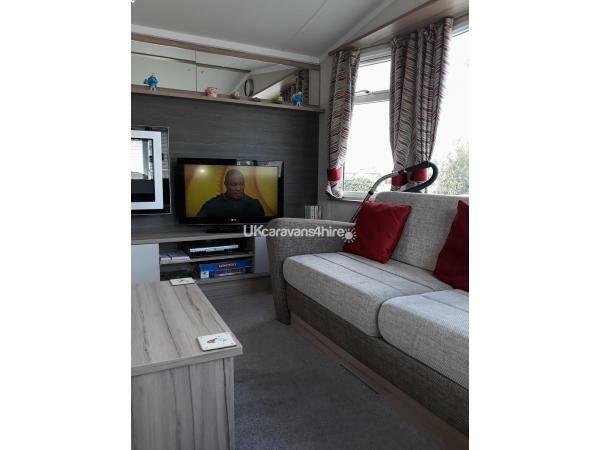 Beds were made ready for our arrival and grandchildren and adults enjoyed the choice of dvd's end games in the caravan. Deffinetly re-booking for next year. Thank you for making our holiday comfortable and enjoyable. 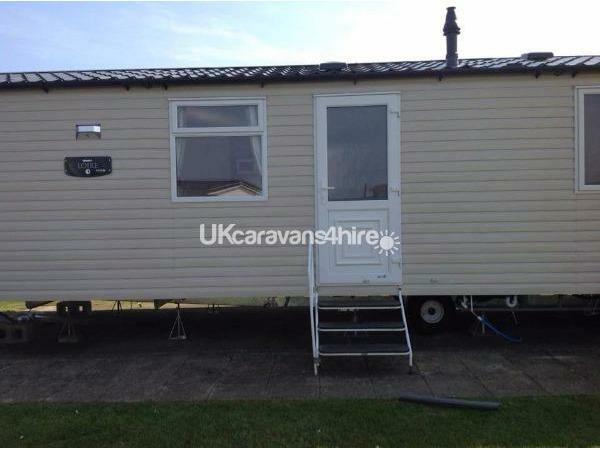 Just returned from a week in Andrea & Richards caravan, it was clean n spacious and beds were made on arrival. Both were easy to get hold of and answers all questions. 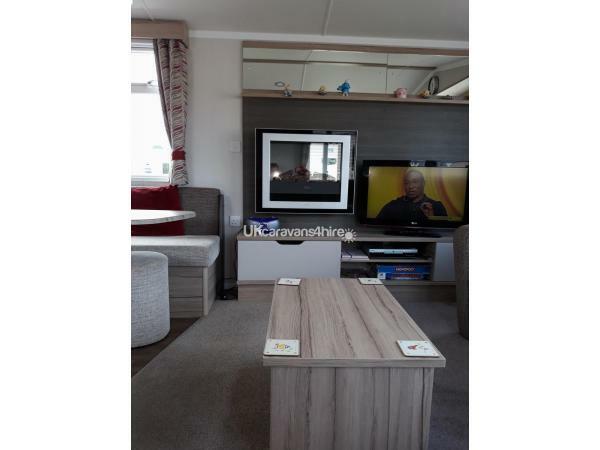 Weather was fantastic, both adults and grandchildren enjoyed the selection of dvd's and games in the caravan. There was plenty to do and all loved it and was sad to go home. Deffinetly 're-booking for next year. Thank you get again. 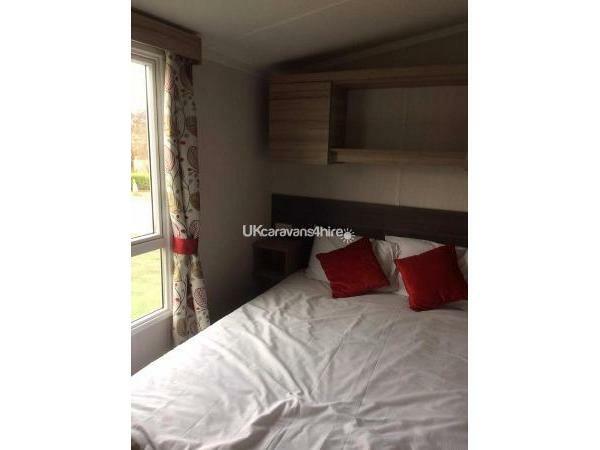 This is a gorgeous caravan in a lovely area close enough to facilities but peaceful on an evening. 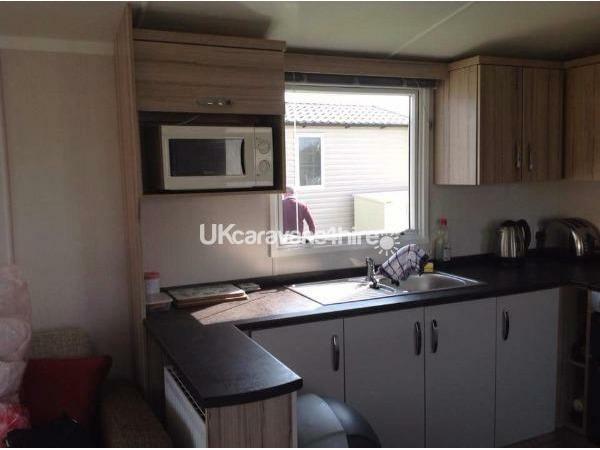 The caravan is large and very comfortable and spotlessly clean. We didn't want to come home and booked again the day we left! It was that good.thanks so much to Andrea and Richard such lovely people. There were 7 of us in this caravan, 5 adults and 2 children. We all loved this holiday, the caravan had everything we needed and more.the caravan was lovely and clean wen we arrived. I would highly recommend to everyone. 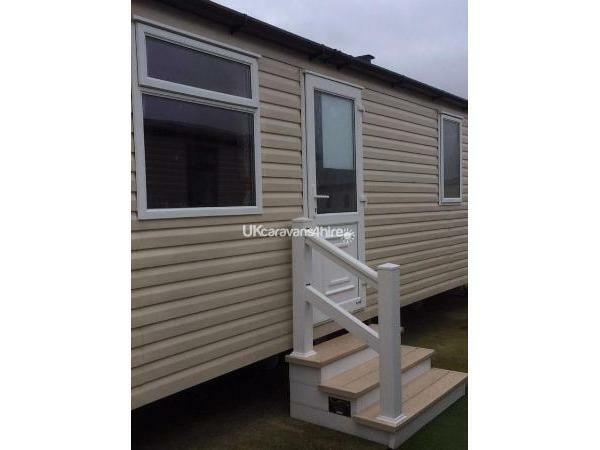 Thanks to Andrea also who was very helpful, hope to stay in this caravan again. Just come back from our family holiday in this carvan was lovely thinking of returning in sept rich and Andrea where lovely people cause could make it on sat they let use say till Sunday many Thanxs both hopefully be back in sept.